Suspected bomber, 22-year-old Kyrgyz-born Russian citizen Akbarzhon Jalilov. Twenty-two-year-old Akbarzhon Jalilov from Kyrgyzstan named by police. 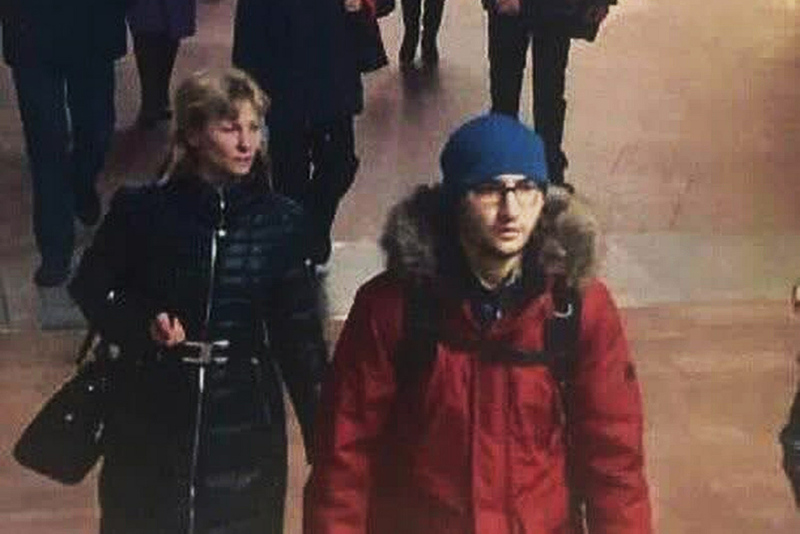 Investigators looking into the terrorist attack on the St. Petersburg metro on April 3 have named 22-year-old Akbarzhon Jalilov – a native of Kyrgyzstan with Russian citizenship – as the main suspect. Fourteen people were killed and another 49 injured when a bomb ripped through a metro train carriage. "We confirm that the suspect thought to have organized the terrorist act, is a native of Kyrgyzstan and a citizen of Russia called Akbarzhon Jalilov, born in 1995 and a native of Osh (Kyrgyzstan’s second largest city)," said Kyrgyzstan's National Security Committee representative. Photos of the alleged suicide bomber have been found on social media, according to a law enforcement agency source quoted by Gazeta.ru. The source says that in 2015 Jalilov worked as a cook in a St. Petersburg sushi bar before disappearing. A former colleague said he heard that “Akbarzhon had left for Korea." According to another source cited by Gazeta.ru, Jalilov supported the ideas promoted by an extremist group with links to ISIS. "Now the investigators are finding out the whole range of his acquaintances and connections," the source said. The Fontanka news agency claims Jalilov had been living in St. Petersburg for the past six years. During this time he changed his local passport several times, and also had a foreign passport. The investigation also believes the suicide bomber did not act alone and had accomplices. One of the terrorists must have therefore laid the bomb in Ploshchad Vosstaniya metro station. However, after the first explosion, communication in the metro was blocked, and they failed to activate the second device remotely. The homemade explosive devices were very similar and both were made of empty metal fire extinguishers. Inside, steel ball bearings were fixed to explosives with tape. First published in Russian bu Gazeta.ru. Read more: Attack in St. Petersburg: Who benefits?